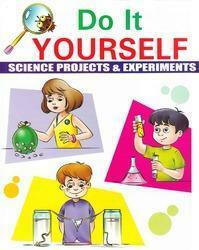 Leading Wholesale Supplier of science experiments books for backyard scientists, science experiments books with...series, 101 great science experiments books and do it yourself science project & experiments books from Chennai. Discover the fascinating world of Science with these simple and fun-filled experiments that you can do with everyday materials. The experiments are safe and easy to follow and the scientific principles and concepts are explained in clear words. Endless hours of non-stop excitement, stimulation and learning for children of all ages! 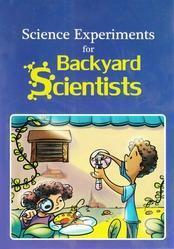 This book has a safe and a easy way to learn about the attractive everyday science of the world. 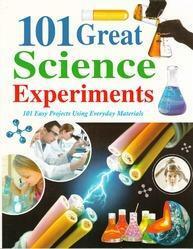 Step-by-step Experiments, Clear instructions and Eye-catching illustrations. This book has more than hundred different projects. Suitable Schools, Libraries. 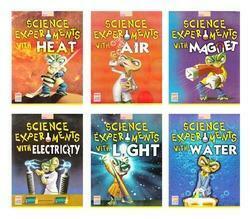 Looking for Science Experiments Books ?